Do you swear your dog can read your mind at times? Are you almost positive that he is in there, checking out the day's agenda, and he knows exactly when dinnertime is or when his next walk will be? Then, boy, do we have the collar for him (or her!)! 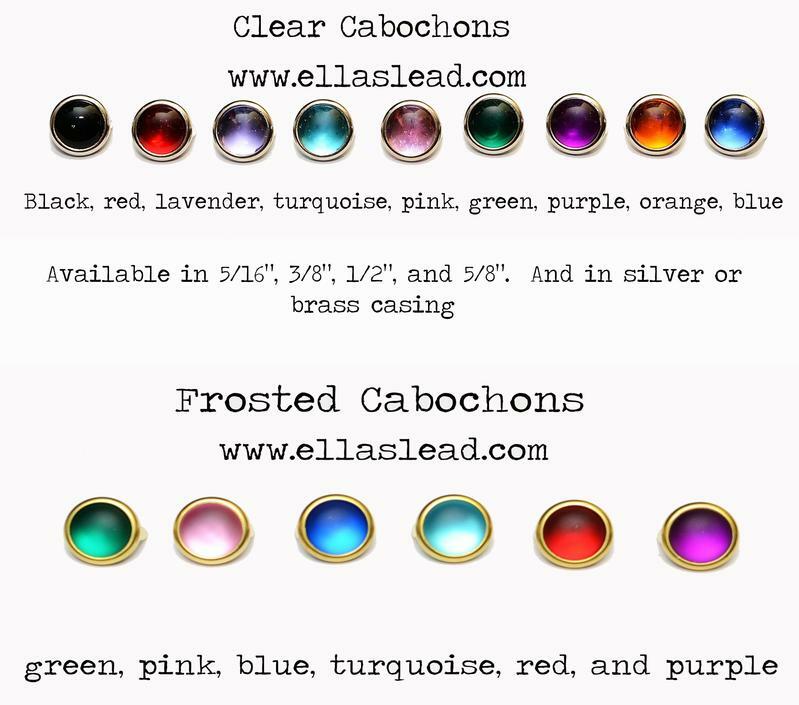 You will have your choice of Cabochon colors from the chart below. But specify clear or frosted, or you'll be getting the default of clear finish.